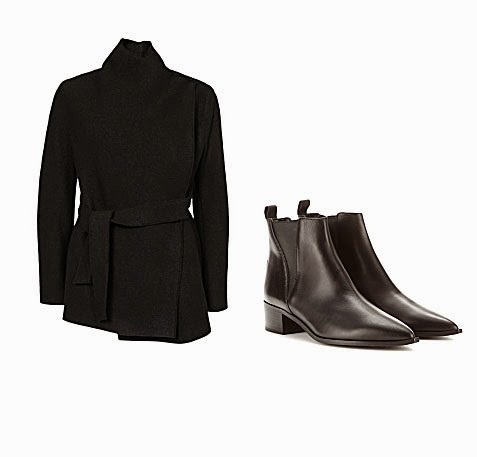 Two items on most peoples wish lists for fall and winter is a new jacket and pair of boots. The perfect every day fall jacket and bootie in my opinion, is this wrap jacket that can be worn with anything and these Acne chelsea boots. Love the boots! So classic & minimal.